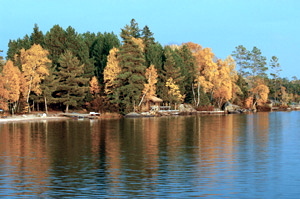 The retreat will be held at the pristine Camp du Nord, located 20 minutes outside of Ely, MN, a stones throw from the Boundary Waters. 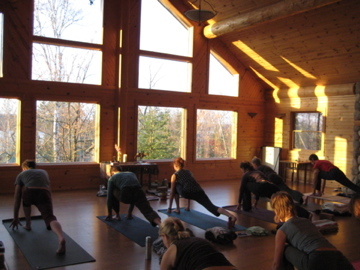 The retreat will feature two yoga sessions and two delicious vegetarian meals each day. There will be plenty of free time for hiking, canoeing, sauna, massage, reading and relaxing lakeside and fireside, and enjoying quiet reflective time or the company of friends. Our intention is that this retreat is not just time away. 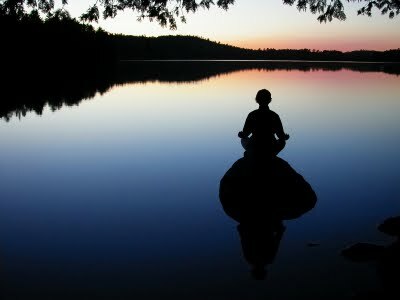 Retreat is sacred space from which to view yourself and your life clearly. We will explore the practices and wisdom teachings of yoga, as a means to realizing your innate capacity for meaning, freedom and joy within life. The Place: Camp du Nord, near Ely, MN. A stones throw from the Boudary Waters, Camp du Nord is set amongst the pine, maple and birch forest alongside Lake Burntside. It has been a natural place of retreat, relaxation and reflection for more than 50 years. The Yoga: We will practice for two hours each morning and afternoon. Morning sessions will consist of an invigorating asana, pranayama and meditation practice. Afternoon sessions will focus on the subtler aspects of yoga, including: restorative postures, pranayama, meditation, self-reflection, yoga philosohpy and dharma. Our welcoming ceremony will be at 8:30 pm on Weds. Oct. 9th, and we will depart after brunch and cleanup on Sunday Oct. 13th. We encourage carpooling, and will assist in arranging transportation. For Directions, click here. Based on past years, we expect the retreat will fill up this year. If you are planning to attend, please send registration and deposit as soon as possible to reserve your space. Thanks! Priority for private bedrooms will be given to couples. There are a few private cabins which can be specially arranged for families or those desiring more privacy. Early Registration Discount – $50 off when you register + pay in full by July 31. To reserve your space: please email your Fall Retreat Registration + Waiver to ben@vincentyoga.com and submit a $150 deposit per-person (non-refundable). Payment can be made by Venmo (@ben-vincent-9), PayPal (bvrocksteady@gmail.com), check (see directions below), or CC. There is a 3.5% fee for paypal or CC to cover costs. Contact us directly to pay via CC or paypal.